If Your Life Were a Game, What Would the Score Be? You know the adage, “What you don’t measure, you can’t improve”? That’s obviously true for sports, science, and business. But did you know it’s also true for your life? What if you could measure yourself in the areas that matter most? What if you could get an overall score for your life, gain a newfound sense of control, and create the life you want? 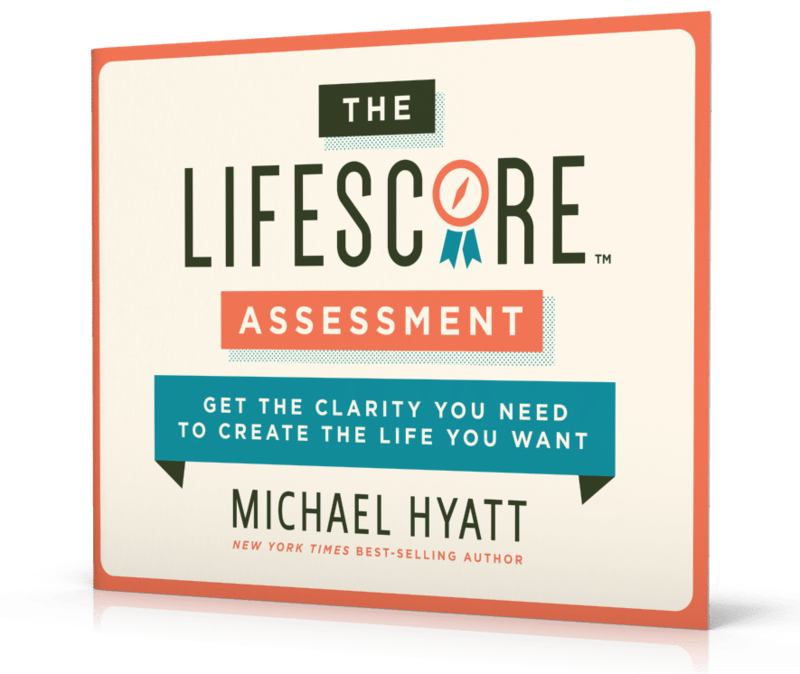 My new and improved LifeScore™ Assessment will show you how. I designed this tool with one goal in mind: to help you identify a baseline of health in all the major domains of your life. That way you can improve any area that’s lagging and experience a richer, more rewarding life—no matter what’s going on in the world around you. The LifeScore™ Assessment is built on five major life principles. For purposes of discussion we can talk about ten life domains, but the truth is we can’t compartmentalize the real thing so easily. Life is a seamless whole. For example, our physical condition impacts our vocation. If we are not healthy, it makes it difficult to be creative and productive at work. Conversely, if we are under stress at work, it can negatively impact our health. Similarly, our emotional condition impacts our social life. If we are depressed or angry, it makes it difficult to build healthy friendships. Conversely, if we have deep, meaningful friendships, it can contribute to our emotional well-being. Because these life domains are interrelated, each is important. Each must receive the appropriate amount of attention. I am directionally challenged. When people try to explain to me how to get to a specific destination, I feel low-grade panic. I have a hard time keeping all the turns and distances in my head. Thankfully, I have Waze on my phone. I really only need two pieces of information to use it: where I am and where I want to go. The app already knows the first. If I input the second, the app tells me exactly how to get there. But the problem with life is that we don’t usually know where we are, let alone where we’re going. Maybe we have a vague sense that we are not where we would like to be in our career or finances, but we haven’t come to grips with the truth of our situation. Or maybe we’ve felt our marriage become lifeless and routine, but we really haven’t had the courage to admit we’re stuck. Here’s the good news. You really can get better and experience significant growth. You don’t have to settle for what is. You can grow. Twelve years ago, I was overweight and out of shape. I ended up in the emergency room three times, thinking I was having a heart attack. Thankfully, I wasn’t. It was acid reflux, brought on by stress at work and at home. My cardiologist told me I had to figure out a way to deal with it or I might well end up in the hospital with a cardiac event. He encouraged me to change my diet and start exercising. I got serious and hired a personal trainer. In three months, I dropped more than twenty pounds. Soon after that, I ran my first 5K. Then a 10K. And then a half marathon. In less than a year, I went from being in the worst shape of my life to being in the best shape of my life. All it took was clarity about my current condition, the intention to change, and the effort to make it happen. Sometimes we wrestle with worry and doubt about the future and what’s really possible in our lives. And let’s be honest: there’s a lot of uncertainty in the world today. But the truth is, when it comes to what matters most—your professional success, your health, your finances, and your most important relationships—you have far more control than you think. One of the best ways to overcome all the uncertainty in the world—and make progress on your most important goals—is to become fully aware of how much control you actually have. It’s way more than you think. In fact, you can intentionally engineer massive growth and success over the next year in the most important domains of life, regardless of what’s happening in the world around you. All you need are clarity and a path forward. That’s why I created the LifeScore™ Assessment. I wanted to help you determine exactly where you are, so you can pick a destination in the distance and begin taking action to get there. Like many assessments, this one is self-administered. It provides you with the opportunity to rate yourself in each of life’s ten domains. You read a series of statements that describe specific situations and pick the one that most closely aligns with where you perceive yourself to be. After assigning a numeric value to each of your answers, the tool then calculates your score in each domain, adds them together, and gives you an overall LifeScore.™ The whole process takes less than ten minutes. It will give you the clarity you need to create the life you want. Once you discover your LifeScore,™ you can quickly see opportunities for growth, and what is already working well. If you take it quarterly, you have a built-in way to measure your growth over time and stay motivated toward what matters most to you! Best of all, the LifeScore™ Assessment is FREE—for a limited time. I am offering the assessment as part of the prelaunch promotion for the 2017 edition of my 5 Days to Your Best Year Ever course, which launches December 6. After that, the assessment will only be available as part of the course. Don’t miss this opportunity to discover your LifeScore.™ It’s fun. It’s free. And it will give you the clarity you need to start making progress in the areas of life that matter most. Question: How did you feel about your LifeScore?